Reporting on an exchange during a parliamentary question period 26 November 1965, the Canadian Press issued a news release on Canadian pre-teen soldiers; that is, they were not yet teenagers. The Minister of Defence of the day, Paul Hellyer, explained the case. "They enrolled under age," he said. Well, of course they did; that much was obvious. He meant 'enlist', of course. One enrolls for a course of instruction, but enlists for military service. He gave the names of six servicemen, all under 13 when they enlisted between 1936 and 1939. Each one had made a statutory statement to this effect. Hellyer identified the men as Wing Commander W. Taylor, Flt. Sgt. J. C. Baker, Col. W. M. Alton, Maj. R. Hampton, Sgt D. O. Hoskis and Flt. Sgt C. F. Page. The subject was first raised during a debate on the Auditor-General's report on the defence estimate and Auditor-General Maxwell Henderson said that the servicemen had retired in 1964. This would put their service in the forces at between 25 and 28 years. They were on record as being 9, 11 and 12 when they enlisted. Of the six, one was almost 13 and the youngest nearly ten. G. L. Fairweather (PC) questioned the statement and said it couldn't be true. He asked whether the minister intended charging these men with perjury to which question Hellyer replied, "These people did serve and are entitled to benefits under the law." Fairweather said he could understand those who 'enrolled' at 17, "But a husky ten-year old?" he asked. In the mid-1960s Hellyer ushered in the unification of the Canadian Armed Forces bill. 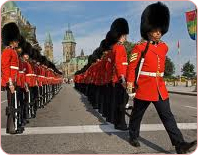 Until that time, boy soldiers were on the establishment of the Canadian Army; they still are in the British Army. This is worth noting because the Canadian Army has its roots in a military culture inherited from the British Army. No purpose is served here in dealing with aspects of the unification bill other than boy soldiers. The bill was, however, disastrous for all three services: the Royal Canadian Navy, Army and Air Force. Experienced personnel of all ranks left the services in droves. What many predicted proved true. The bill coagulated the three arms of the service into one amorphous and shapeless lump, which might make for an interesting discussion, but this is not the place. Boy soldier is a general term applied to anyone who is under the age of 18 and is, therefore, within the meaning of the law, a minor. With this clarification, a 'boy soldier' may be defined as a minor who enlists for military service to be fed, clothed and trained in military duties by the Army. This means he is subject to military law and, as a consequence, military discipline. A boy soldier is not a cadet in the sense that word is used today, such a trainee being a minor in the full time care of his or her parents, but who dons a uniform once a week and trots along to the local drill hall for a couple of hours of square bashing and military instruction. With this definition of a boy soldier in mind, we can say that two categories of boy soldiers served in the Canadian Army. Between them it is necessary to draw a sharp distinction, which is important if one is to consider the experience of armed conflict in major wars: the Boer War, the two world wars and the Korean war, for boy soldiers served in them all. The first category consists of those minors who lied about their age and succeeded in getting into uniform. Robert C. Thompson of Picton, Ontario, was in this category. His case is well documented in more than one place, my own Sons of the Brave work being one of them. Enlisting at age 13 during the First World War, he was in one of the units dispatched to Halifax to help clear up the devastation caused by a munitions ship that exploded in the harbour with a huge loss of life. Following the Halifax disaster, Thompson went to the Western Front and served in the trenches for months on end. By the age of 17, he had risen to the rank of company sergeant major, leading his company over the top on many a charge. For an underage soldier who was still a minor when the armistice was signed, his was an astonishing record. 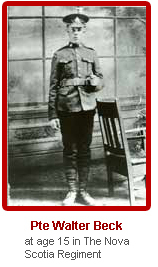 Walter Beck, age 15, of the Nova Scotia Regiment is another boy soldier of whom there is a written record. We had an extended correspondence when I was researching the Sons of the Brave book, the story of boy soldiers in the British and Canadian armies. It includes images of Thompson, Beck and other teenage soldiers. One glance at the faces of three lads serving in the Canadian Machine Gun Corps (right) is enough to tell they are boys, not men. At the outbreak of the Second World War, teenage boys again flocked to the recruiting centres to enlist. Times had changed. They were rejected in larger numbers at the recruiting offices than in WWI. Despite this, many slipped through the net and got into a uniform. What happened during WWI was repeated in WWII. Some, but not all officers who discovered underage soldiers in their units returned them to Canada. In other cases, parents applied to the authorities to reclaim their adventurous sons, got them and took them home. It might have been a cat and mouse game that tested the authorities, but it was also testament to the patriotism of the nation's youth. Many of the teenage soldiers in this category from as young as 15 served during the war, but as adult soldiers, not boy soldiers. One may have no doubt that the same pattern occurred during the Korean War. The numbers of boys lied and got into uniform will never be known. There are no official estimates and, if the identifies of underage soldiers became known they were shipped to holding camps. If proof is needed of their service, one can judge by the response to an appeal for information in the national press. It is evident that those who slipped through the net should be numbered in the hundreds at least. The letters of underage soldiers who responded, many with photographs, are among the hundreds of letters contained in seven volumes of research papers donated to the National Archives, Ottawa, after the book had been published. One further instance of support of this evidence is worth relating. It occurred during a return flight to Toronto from London soon after the book's publication. Attracted by its dust cover, a passenger in the next seat asked if he might look at it. The cover of the Sons of the Brave book is striking. It is a reproduction of Philip R, Morris's famous painting under the same title, Sons of the Brave, which is the earliest known canvas depicting of a full military band. When exhibited at the Royal Academy in 1880, visitors flocked to view the work. A major article in The Graphic magazine helped. The previous year, in 1879, a Zulu army of Impi regiments annihilated an army under the command of Lord Chelmsford. This defeat of Chelmsfor's well-equipped modern army was a blow to the nation's pride that brought national prestige to a low ebb. The 'Sons of the Brave' phrase comes from a revolutionary song published in Boston, Massachusetts, in 1765. Being too good a phrase to be wasted on rebels, it was put to use by others; first in a Scottish ballad, then to describe boys of the Royal Military Asylum, Chelsea. These were the sons of fallen British soldiers. From there it was a short hop onto the frame of the Morris painting exhibited in 1880. My companion read the introduction. This deals with the defence of the Village of Carpiquet by the Hitlerjugend during the 1944 invasion of Normandy. In this three-day long battle, 150 soldiers stemmed the advance of the 3rd Canadian Infantry Brigade. Pounded by the guns of two battleships standing off-shore, they still held the attackers at bay. But the defenders of Carpiquet were all boys, some as young as ten. My companion expressed surprise because he had, he said, taken part in that battle and was at the time but 16 himself. When the fire slackened, the brigade officers knew the defenders were fast running out of ammunition, that their weaponry was reduced to rifles and Spandau machine guns. Being a first generation German-speaking Canadian, he was sent with his platoon commander in a bren gun carrier to persuade a single soldier in a foxhole to surrender. The soldier refused, so the exasperated platoon officer tossed a grenade into the hole. Afterwards, the dead soldier's pay book revealed that he had been a 14-year-old, which, my companion said, was enough to make him weep. However one might be taken in by the propaganda of 'the hated enemy', this was a not untypical story of combat against a determined enemy. No less amazing for me was the chance meeting with someone who had been at the Battle, for he described the events in graphic detail. He, too, was underage soldier, which is why he read the younger soldier's pay book with sadness. Those of us who served underage – and my family did, everyone of them – could not help but empathize with our opposite numbers. The second category of boy soldier, equal to if not more numerous than the first, involves the legitimate enlistment of boys with the rank of 'boy soldier' or 'boy drummer' or 'boy bugler'. This use of underage soldiers in the ranks of the military requires more explaining because the use of boys in armies is a practice as old as written and oral history. The connection to the use of boy soldiers in the Canadian Army is the British Army from which the Canadian Army inherited its ethos. This ethos, or philosophy, became part of the British Army from the time of Oliver Cromwell in the 1640s. But why use boys when grown men are stronger and do a better job? There is not one, but two answers to that interesting question. The first and original reason for employing boy soldiers was to convey the commanding officer's orders to the men in the ranks by means of the beat of a drum. A loud rap-tap-tap was more easily heard in the confusion of battle than the bellowed command of an officer to 'advance', 'retreat', 'halt' etc. Men capable of handling a musket or pike pole were in short supply, A boy could beat a drum command, which meant another man was there to carry a musket. It will come as no surprise to anyone with military experience that the practice of shooting those who gave the orders was as prevalent in the old armies as in the new. For this reason, drummers along with officers had a high casualty rate. The use of boy drummer to convey orders was well established in all armies including the revolutionary army of George Washington. Boy soldiers had other uses too. At the Battle of Waterloo, for example, an estimated 4,000 boy soldiers in the British Army took part in the battle. This figure comes from the 'Morning report' for 18 June 1815 and is for the British Army alone. It excludes two battalions of boy soldiers being held in reserve. Take the same number in the French Army and Blucher's Prussian Army and the estimate of boys on the field would be between ten and eleven thousand. What proof is there of this estimate? The establishment of a battalion of infantry until well into the Twentieth Century allowed for two boys per company of foot soldiers. An up-to-strength battalion therefore had between eight and ten companies including a headquarter company, so each battalion of the Line had about 20 boy soldiers on strength. At the age of 18, a boy soldier transferred to 'man service' and began his term of service. Boy service counted as half man service. From the beginning, the Canadian Army based its command structure and regimental economy on the British Army. This meant that every unit – infantry battalion, cavalry squadron, artillery battery - had its contingent of boy soldiers, numbering about 20 boy soldiers per unit. What is more, that situation prevailed in the Canadian Army until the beginning of the Second World War. Dear Sir, Your letter of November 11 addressed to the Department of National Defence was referred to this office for reply. Records show that the youngest recruit accepted for active service with the Canadian Forces during World War II was 13 years of age. There were three of them and they enlisted in the Army. His brother Karl began his boy service at age 11 in 1936. 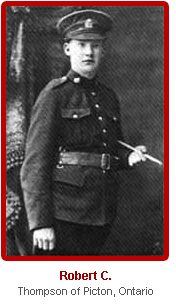 He joined the Royal Canadian Ordnance Corps, but got no further than Newfoundland. 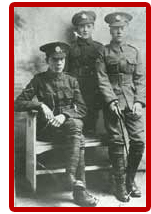 In a previous account, I incorrectly put the Fowler brothers in the Royal Canadian Regiment and was promptly corrected by a former member of RCR who had access to its war diaries. I mention this to note that I make my mistakes. This brings us back to the parliamentary question period, for Minister Hellyer failed to reveal to the House that day that, in addition to the pre-teen soldiers he had identified, some four to five thousand teenage soldiers served during World War II, most over the ages of thirteen and seventeen. They were the boy soldiers of the Canadian Army as it existed in 1939 together with those earlier mentioned who flocked to enlist at the outbreak of war and, passing the medical, were accepted for service. Donald Fowler was one of the teenagers who served. He and a number of other bona fide boy soldiers who went overseas with their units. They saw service in Italy and North West Europe, at Falaise, Oldenburg, the Scheldt, Verrieres Ridge and numerous other places. I should, however, emphasize that in going overseas, Donald Fowler and those few others were exceptions. The question is what happened to all those other underage soldiers who were in the Canadian Army when it declared war on Germany? The answer is straightforward. When the Army Council placed Canadian units on a war footing, commanding officers were instructed to transfer all their serving boy soldiers to one of two collection centres. One was at Gagetown, New Brunswick; the other in Wolsey Barracks, London, Ontario. The Department of the Adjutant-General is supposed to have designated a third centre in British Columbia for units stationed in the Canadian West, but I have so far failed to get evidence of this. About 500 underage soldiers were gathered at each of the two centres, London and Gage Town, formed into general service units. There they continued their military training and exercises. As they reached 'man service', which I understand was age 17½, they were posted to regular military units. In 1943, a dramatic change occurred. In desperate need of qualified tradesmen to service military equipment, the Army Council followed the lead of the British Army and created an apprentice-training scheme. The unit known as the Canadian Technical Training Corps (CTTC) by order of the Army Council is recorded in the Council's minutes for 4 June 1943 (paragraph 4). Apprentice training of boy soldiers began in the British Army in 1928, but was greatly expanded in 1939 to provide skilled military personnel to maintain its increasingly mechanised army. The programme provided a steady stream of electricians, armourers, mechanics, machinists, radar technicians, clerical workers, draughtsmen and drivers. The CTTC version of apprentice training was geared to boys beginning at age 16. They were given one month of general military training, followed by a three-month orientation course. Would-be apprentices who passed this initial training – and the Army set high standards – then went to one of four centres located in Hamilton, Rimouski, Fredericton or Saskatoon. There they underwent six to ten months of trades training. The duration of instruction depended on the trade selected for them by means of aptitude testing. When you think about it, the Army Council required those officers who ran the programme, mostly engineers, to create a new system of training for its young tradesmen geared to military needs. Psychological tests were used to assess and select boys for trades training. The Army succeeded brilliantly in producing a steady supply of its own tradesmen. Training time was increased to 16 months, which meant that given the average age on enlistment, an apprentice reached 18½ by the time he graduated from the CTTC. The authorities estimated that they could train 1,500 tradesmen at a time, the number being limited by the training capacity in available machine tools, equipment and accommodation. As time progressed and the system became more efficient, the apprentices trained increased. Eventually, the number in training rose to 2460. Statistics are not the most interesting field of study. At the same time they do give a measure of the success of the programme. By February 1945, some 2,300 apprentices, but still boy soldiers, were in training. Of these about 1850 were in trades training and 450 were undergoing their 4 weeks general and orientation. Since the Technical Training Corps was formed, 530 qualified tradesmen had been posted to active service. The Army Council set high standards and had stuck to them, proof being that well over 150 had been discharged as unsuitable for training instruction. In February 1945 with an end to the war in site, the Deputy Chief of the General Staff (DCGS for those who like abbreviations) recommended that the CTTC be disbanded. While the DCGS recognized the excellent work done in creating the Corps, he found no justification for continuing to enlist boys under the age of 18 and the Army Council agreed. As a consequence, the CTTC was disbanded. Of the estimated 2300, some 1600 were posted to active units and 700 discharged, which included those in training when the unit was disbanded. During the two years of its existence, 2,727 boys went through the apprentice training programme, which was no small achievement. Tables 1 and 2 summarise the intakes and trades taught in the CTTC. The figures given in the two tables are for the months tabulated and are not total for the entire period of the CTTC's existence. These figures are not available. This is as short and concise a history of Canadian boy soldiers as might be condensed into a short address. From the viewpoint of training technicians particularly suited to the maintenance of military equipment and installations such as radar and sophisticated artillery range-finding equipment, the CTTC was an unqualified success. The training scheme provided those who went through the system with a trade that would serve them well in civvy street. From an economic point of view, and if the experience of the British Army is any yardstick, the cost of training teenage soldiers is considerably less than giving adult soldiers technical training. Adults are more set in their ways, soldiers or not. Teenagers are in their concentrated learning years and therefore more receptive to technical instruction. In conversation with Brigadier J. R. Smith, Chief Education Officer of United Kingdom Land Forces, he said that over sixty-five per cent of those who took part in the Falklands War had entered the British Army as boy soldiers. Boys and girls today are still able to enlist in the British Army at age seventeen with the rank of junior soldier. Times have changed. It is not considered suitable – politically correct as some might say – to encourage teenagers to enlist. They must wait until they come of age. In this regard, one might observe that the mores of contemporary society require each generation of teenagers to be wrapped in the protective supervision of a caring and nurturing society that requires the services of social workers, grief counsellors and trauma experts. Assumptions that catostrophic events psychologically damage children for life go largely unchallenged. Group hugs and specialist counsellors, it seems to me, go hand in hand. And so, as L. P. Hartley wrote in The Go Between, "The past is a foreign country, they do things differently there." In deed they did.